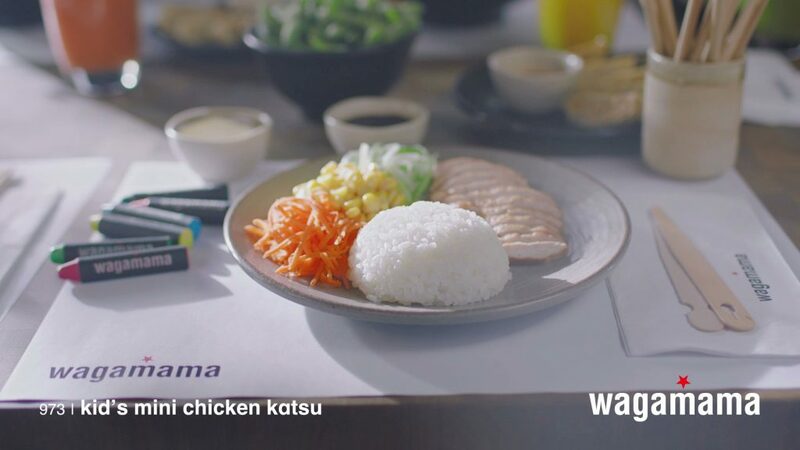 Following the success of our stop-motion animations for wagamama’s vegan-themed social media campaign, the popular restaurant brand commissioned us to refresh the video content for their in-store, out of home and other social media campaigns. 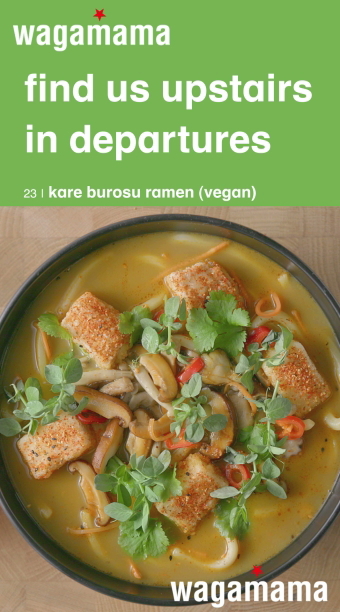 As the original creators of the mouthwatering food films displayed on their enormous Heathrow airport screens, we have a strong understanding of the wagamama brand and are well-versed with meeting the challenges of the multiple display formats used in their many restaurant and advertising locations. 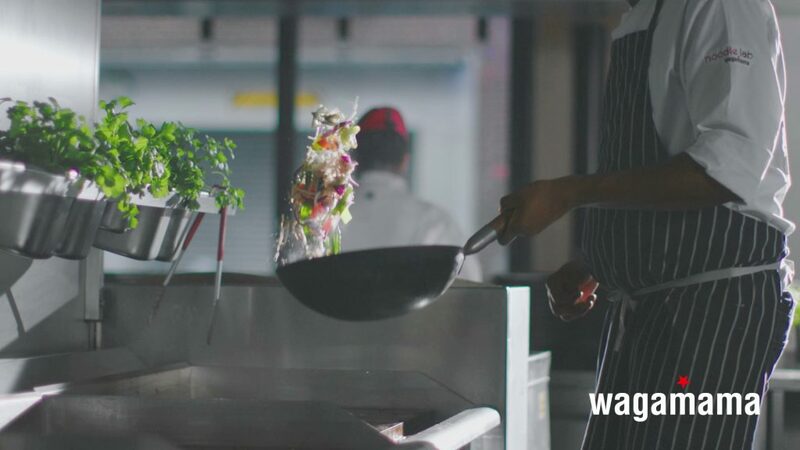 As wagamama continues its growth across UK and international locations, we needed to help our client maximise the potential use for the video content we created for them. During pre-production planning and throughout the shoot, we made sure that everything would be framed to facilitate editing and attractive viewing in all possible formats including square social media apps, D6 portrait screens, widescreen, in-store TV displays and Heathrow Airport’s unique 168-screen array measuring 21 x 2 metres. As markets outside the UK have stricter cultural and regulatory views on alcohol advertising, our latest video content shows fresh juices rather than beer consumed with the meals. Meanwhile, UK restaurant playlists will display the Asian beer offering as part of the sequence of dinner menu options. To fulfil the latest brief, we organised our food specialist production team for a multi-camera shoot to feature several new menu items, including a new emphasis on vegan choices and a children’s dish. 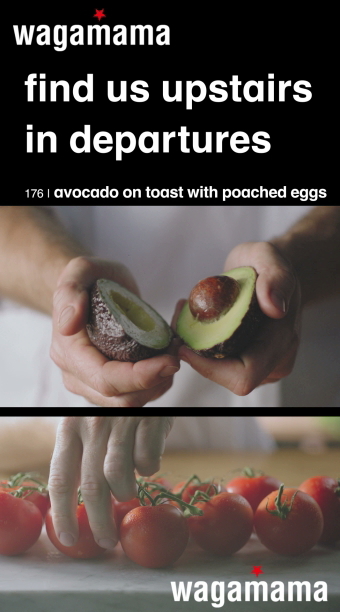 Continuing themes from our original stories which depict preparation through to enjoyment, we used high-speed cameras to capture tempting slow-motion shots of fresh ingredients, and we assembled a cast of lucky diners to taste the finished dishes. 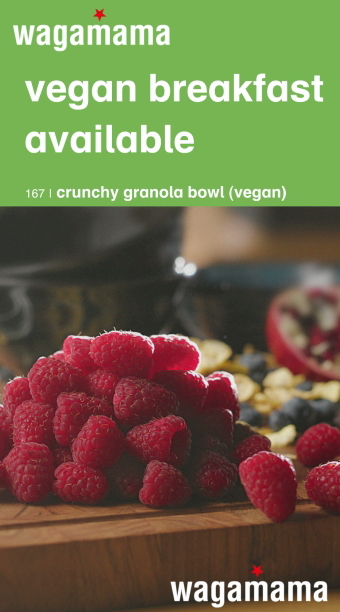 During post-production, our colourist applied his food film expertise to allow all the dishes to look their best. In the spirit of wagamama’s engaging social media campaigns and to reflect the fun experience of friends eating together IRL (in real life, as they say), we updated our depictions of the banquets to show more interaction during the breakfast, lunch and dinner settings and included glimpses of the wagamama kitchen and serving team in these scenes. 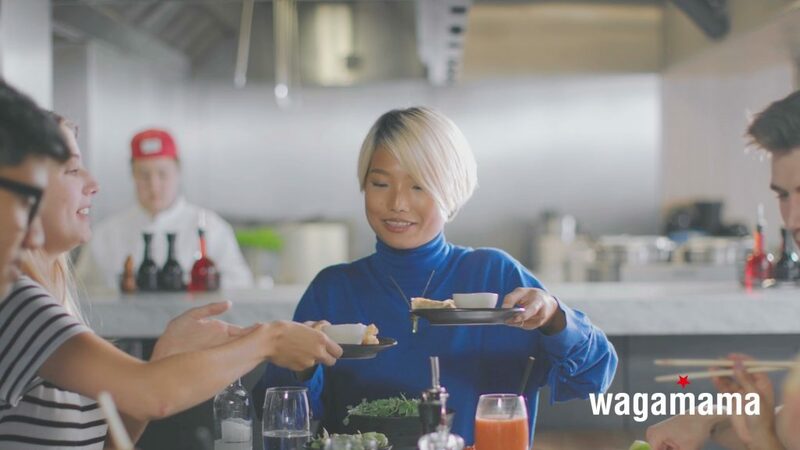 The resulting collection of delicious video content launched in wagamama restaurants and OOH locations in good time to attract families during the half-term break and continue to roll out across social media.